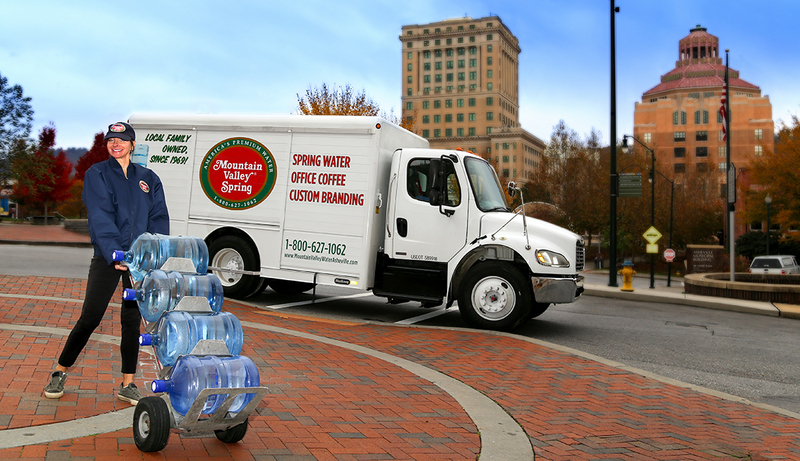 Our free delivery options ensure that your home or office will always have healthy spring water available on demand. Our experienced staff will help determine whether scheduled or will-call delivery is best for your situation. Our delivery crew is trained to be prompt and reliable. Whether it’s a family home or a busy office, our friendly staff knows how to keep the water flowing without interrupting your home or business life. The fresh taste of Mountain Valley Spring Water is always within easy reach. Whether you choose 3 or 5 gallon large bottles or handy 12 to 64 ounce ones, our prompt service ensures that you’ll never go thirsty. Choose from a variety of waters, all bottled at the source and ready to keep you and your crew happily hydrated! In addition to our variety of spring waters, we are pleased to offer complete coffee and tea services. An easy, affordable and popular choice for any office, our coffee and tea service saves time and money while increasing employee satisfaction- a true win-win for everyone! Creating custom labels for our bottled spring water is a perfect touch for branding your special event or company. You will be pleasantly surprised by how easy it is to have your very own personalized bottled water. This fun option is quite affordable and makes a memorable impression that helps you stand out from the crowd. Choose the dispenser that works best for your home or office. Our ceramic crocks with optional oak stands are an attractive and popular option. Or go with a Cool and Cold dispenser that provides room temperature or cold water on demand. The Hot and Cold dispenser (with optional child-proof spigot) gives the option of instant hot drinks, soups and cereals, perfect for home or office. Check out our line of water filtration systems. We offer state-of-the-art technology that enables you to efficiently filter out potentially harmful impurities from regular tap water. Our filtration systems help provide more healthy water for your family or employees and are easy to install and maintain. Ask us about what system is best for your needs. Mountain Valley Spring Water keeps our small company hydrated with pure water and no hassles. The delivery system we have set up works effortlessly – we never run out or have too much. As a local business, we strive to support other local businesses whenever possible. Mountain Valley Spring Water is one such business and we love their professionalism – and that delicious spring water!. What would like to have delivered?